They shed light on how former prime minister Brian Mulroney once interfered in the course of justice on behalf of David Milgaard, why Wilson-Raybould really resigned from the federal cabinet and why she said she has nothing else to offer that will further help people understand her perspective of the SNC-Lavalin affair. Wilson-Raybould provided a transcript of a text conversation she had with her former chief of staff Jessica Prince after Prince met to discuss SNC-Lavalin with Prime Minister Justin Trudeau’s chief of staff Katie Telford and former principal secretary Gerry Butts. The example that was used, according to Prince’s account of the meeting, is that Butts referenced an action taken by Mulroney after he met with the mother of David Milgaard. The transcript then shows Wilson-Raybould asking her chief of staff for Campbell’s contact details. “After much reflection, I decided to take the prime minister at his world that this was not the case, and accept a post I was honoured to have as the minister of veterans affairs,” she said. When the Globe and Mail published a story alleging that Wilson-Raybould felt she was inappropriately pressured by Prime Minister’s Office staff, the former justice minister remained quiet. In her letter, Wilson-Raybould said that when Trudeau told reporters on Feb. 11 that her continued presence in cabinet should “speak for itself” on what the former attorney general thought of the allegations, she resigned. Ever Wilson-Raybould first appeared before the committee, the opposition has been calling on the Liberal government to allow her to come back to committee for further questioning. The opposition also wanted to speak to Wilson-Raybould about why stepped down as minister of veterans affairs. 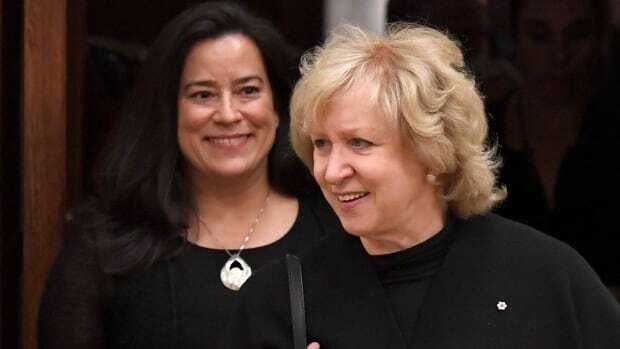 During her appearance before MPs, Wilson-Rayobuld told the committee that she could not explain why she stepped down from cabinet, because to do so would violate the waiver Trudeau had given her to break cabinet confidence and attorney-client privilege to discuss issues related to SNC-Lavalin only. “I do not believe I have anything further to offer a formal process regarding this specific matter, though of course if compelled or asked to participate in a judicial, investigative or parliamentary process I would do so,” she said.